Later, the agency says it can neither confirm nor deny the connection and says it has signed a non-disclosure agreement. 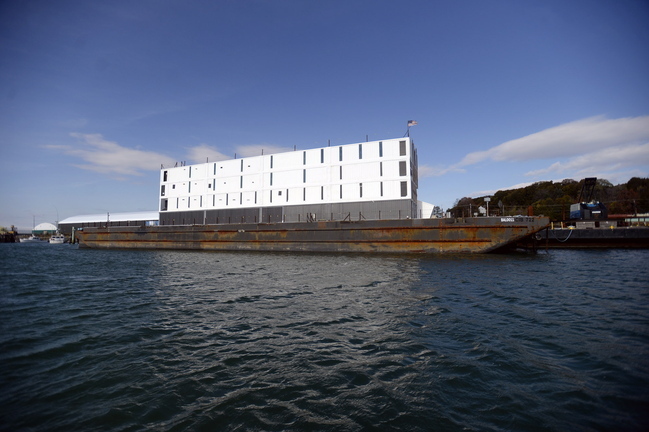 The Coast Guard confirmed Wednesday that Google is involved with the mysterious four-story structure that’s floating on a barge in San Francisco Harbor, a structure that’s virtually identical to one in Portland Harbor. Later, however, the Coast Guard revised its statement. A spokesman said the Coast Guard could not discuss details about the barge, and could neither confirm nor deny a connection with Google. The Coast Guard’s statements and its role in helping to conceal details about the structures add intrigue to a story that is gaining attention and fueling rumors on both coasts. 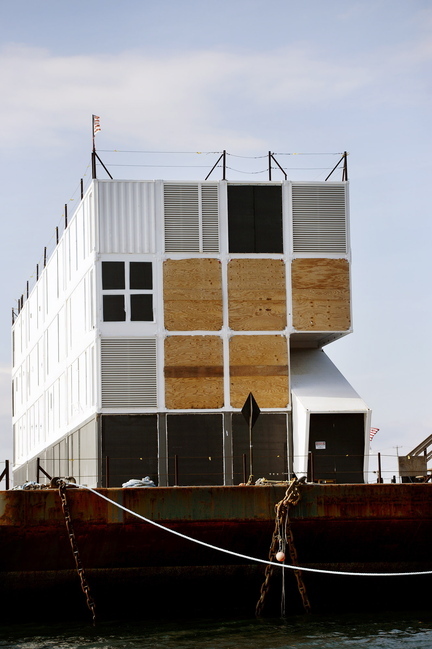 Each of the two barges holds a four-story building made of shipping containers. The barges are registered to the same Delaware corporation and have been shrouded in secrecy despite growing media scrutiny and public speculation. Many of the rumors have focused on Google. The tech giant has a patent for a floating data center that can be cooled with ocean water. Google has not responded to repeated phone calls and emails seeking comment. Coast Guard officials in Maine have either declined to answer questions about the structure in Portland Harbor or said they have no information about who owns it or what it is. It became clear Wednesday that the Coast Guard has more information than it is sharing. 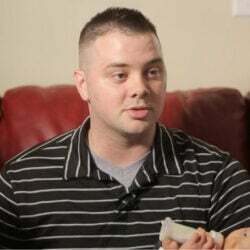 Later Wednesday, Petty Officer Barry Bena, also in San Francisco, told the Press Herald that the Coast Guard would no longer confirm – or deny – a Google connection. 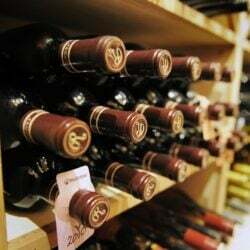 “Due to issues of commercial confidentiality, we are unable to disclose any more information at this time,” Bena said. While Coast Guard officials in San Francisco have signed a non-disclosure agreement with the owner of the structure there, no such agreement has been signed at the Coast Guard station in South Portland, said Ensign Connan Ingham. Ingham said there’s no need for a non-disclosure agreement here because no work has been done yet to trigger a Coast Guard inspection and there is no information in its database to disclose. The owner is not expected to start work on the barge here until the work in San Francisco is completed, he said. Ingham acknowledged that some Coast Guard officials in Maine have information about the structure’s owner on a need-to-know basis. Ingham said his superiors deferred all comment to him, although he doesn’t know what is supposed to happen aboard the mystery barge. A spokesman for the regional Coast Guard office in Boston, Petty Officer Robert Simpson, said he doesn’t know if the structure is associated with Google. He said it is unusual, but not unheard of, for the Coast Guard to enter into a non-disclosure agreement. The most common example is an agreement with someone in the entertainment industry such as a movie producer, he said, without being more specific. Rumors flew as the black barge came from New London, Conn., and was towed into Portland Harbor on Oct. 10, carrying the industrial-looking four-story building, which docked at Rickers Wharf. Speculation escalated after the mystery here was found to match a mystery barge docked in San Francisco’s harbor, drawing TV stations, tech publications and magazines nationwide to weigh in. According to vessel registration records, the barges in Portland and San Francisco are owned by a Delaware company called By and Large LLC. The company owns four barges, BAL0001, BAL0010, BAL0011 and BAL0100. That barge is at Rickers Wharf, on Portland’s western waterfront, so Cianbro Corp. can install undisclosed technological equipment in the structure. Even Cianbro workers on the project aren’t being told about the structure’s purpose. The Coast Guard’s Prevention Department must be made aware of all vessels coming into or out of the harbor to ensure that nothing aboard poses a threat or danger. The Coast Guard logs the names of the vessels and their owners, but log nothing further unless an inspection is required, Ingham said. And by then, perhaps, the mystery will be solved.